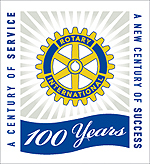 Amwell Rotary Club | What is Rotary? Rotary is a worldwide network of business men and women, professionals and community leaders - men and women who are passionate about social causes, who want to change lives for the better in their communities. 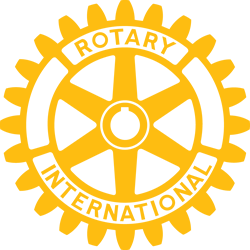 There are over 1.2 million Rotary club members in some 34,000 Rotary clubs spread across 200 countries and geographical areas around the world. We are People of Action, ready to turn our ideas and vision into lasting change, by creating opportunities, supporting those who need it most and transforming their lives. Where others see problems, we see solutions: tapping into our professional skills, expertise and knowledge to make a difference. People of Action use their time, energy and passion to mobilise their communities to get the job done. There are so many projects and activities you could get involved in as part of Rotary. Our impact starts with you. Rotary clubs depend on the skills, the expertise and the dedication of their members, who work hard to change the lives of people in communities both at home and abroad. We've been making history and bringing our world closer together for well over 100 years. Since forming in 1905, we've taken on some of the world's toughest challenges and helped a wide range of international and service organizations. There are also links to the websites of the other local Rotary Clubs that meet in and around the towns of Hertford, Ware and Hoddesdon in Hertfordshire, England. Amwell Rotary Club is a part of Rotary District 1260 which roughly covers Hertfordshire, Bedfordshire and Buckinghamshire.